In case you didn't know, Age of Empires 2 recently got an HD remake on Steam. 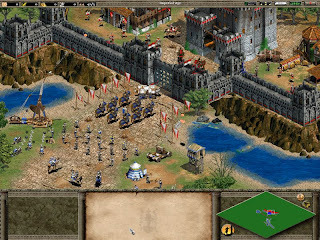 The game launched with several issues including low frame rate performance and multiplayer connection issues. The devs have listened to the problems and have deployed a patch to fix nearly everything. Below are the patch notes, to download the patch go to properties, betas, select performance from the drop down menu and download. If that doesn't work, try restarting steam. You can find the full patch notes after the page break. Frame rate & performance improvements that increase frame rates up to 50% on low end machines and up to 500% on the high end systems previously experiencing frame rate issues. Visual fixes: Windows DPI scaling no longer zooms the in-game perspective. Quitting a multiplayer game triggers a resignation instead appearing as a ‘drop’. Quick match no longer crashes. Long Steam usernames no longer cause crash. Hotkeys for multiplayer are correctly saved. Lobby now enforces that you only play multiplayer with the same build version. Visual indications of players in your lobby and in game who have low frame rate. Better networking verification prior to entering game (prevents getting stuck on the voting screen). Performance warning if you have high ping to one other player who isn’t host or if your data is being relayed. Multiplayer quick match speed defaults to normal. Quick match has additional map size filter. Multiplayer Lobby doesn’t lock to a region for displaying games. Achievements fix: Single player unlocks achievements properly.